Massage is an integral part of a baby’s growing phase. Usage of pure, cold pressed organic oils must be used to confer maximum benefits to the baby. Omorfree Baby Massage Oil has the purest oils of jojoba, olive, wheat germ and avocado, along with other nourishing oils. 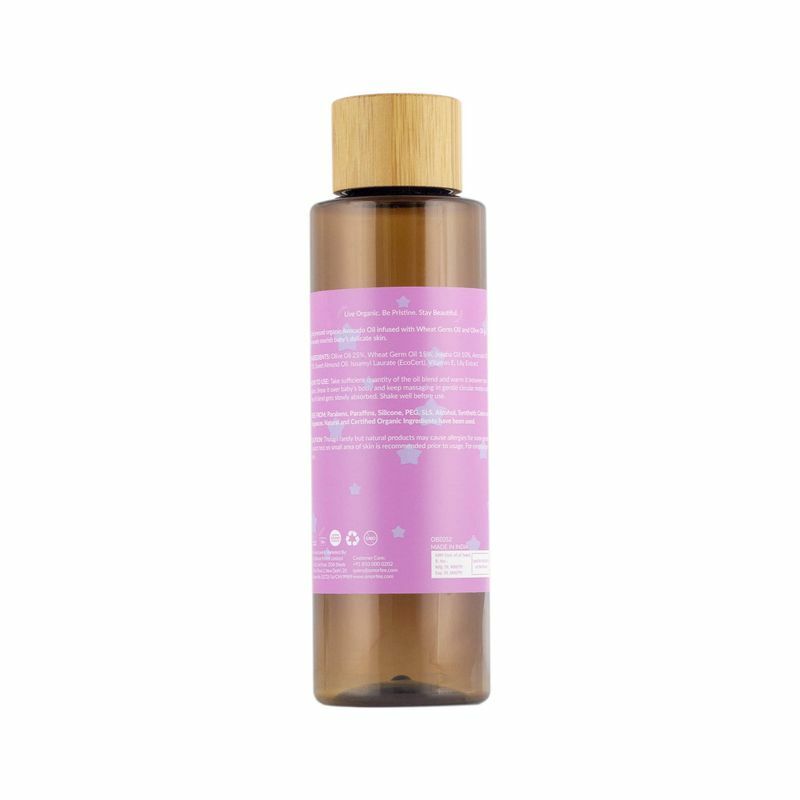 The cold pressed organic oils have been put together in such a fashion in the product that the baby would reap huge benefits from the massage. High levels of vitamins, antioxidants, minerals and essential fatty acids in the massage oil have tremendous benefits for baby’s skin and muscles. These oils nourish as well as protect baby’s delicate skin. Give your baby the best of nature’s gifts! About the Brand: Omorfee is a premium lifestyle personal care brand launched by Bioruns Pvt. Ltd. in 2014, that commits to the core values of ‘Back to Nature’, using the very latest modern technology to process genuine and exquisite range of products which are made out of 100% certified organic ingredients.The brand has a wide range of exotic organic products suitable for rejuvenation and renewal of skin, body and mind. Omorfee products can be vouched for being completely free from parabens, paraffins, glycols, petroleum based material, silicones or any synthetic colour or fragrance.